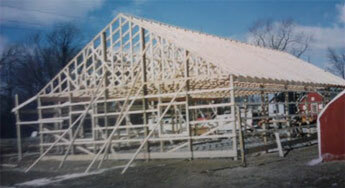 American Tree was formed in 1985 as a wholesale nursery. However, we could see a need for a retail nursery in the Almont, Dryden, Imlay City area and by 1990, the current location on M-53 and Dryden Rd, just north of Almont was purchased. John and Connie Brzozowski have solely owned and operated American Tree since January of 2002. We will replace any tree or shrub within one year of purchase at 100% of its purchase price. The receipt and plant must accompany all claims. If a plant or a close substitute is not available a credit will be given for future plant purchases to be redeemed within 12 months (no cash refunds). No credit will be issued without a receipt. Purchase Myke Growth Enhancer along with trees and extend your warranty to 5 years. Please see Myke warranty sheet for more details. Roses, ground covers, and perennials are warrantied for 100% of purchase price until the end of the growing season in which they were purchased. The receipt and dead plant must accompany claims. Being unable to control weather elements, such as frost, drought, etc. there is no warranty on annuals. This warranty does not cover mechanical or physical damages including acts of God (i.e. wind, hail, ice, etc. ), animals, or willful neglect. Each plant will be replaced one time only. Saleable merchandise in its original packaging or container, can be returned within 30 days of purchased date with store receipt. Plant material in its original condition can be returned within 10 days withstore credit. Customers will be refunded with the payment method they tendered, checks will require a 15 day waiting period. Customers returning warrantied plant material or any other product after 30 days, with a receipt, will be issued a store credit only (purchase price only). PLEASE NOTE: Plants are unique and individual just like us! Please be aware, that it may not be possible to get an exact duplicate of the plant that you originally purchased. NO REFUNDS will be issued without a receipt. Dead plant material must accompany all claims. All sales are final on bulk material & clearance products.